Featuring the same construction fundamentals as our Continuous Arm Chair, the Bowback Chair offers all the beauty and comfort with slightly smaller dimensions. 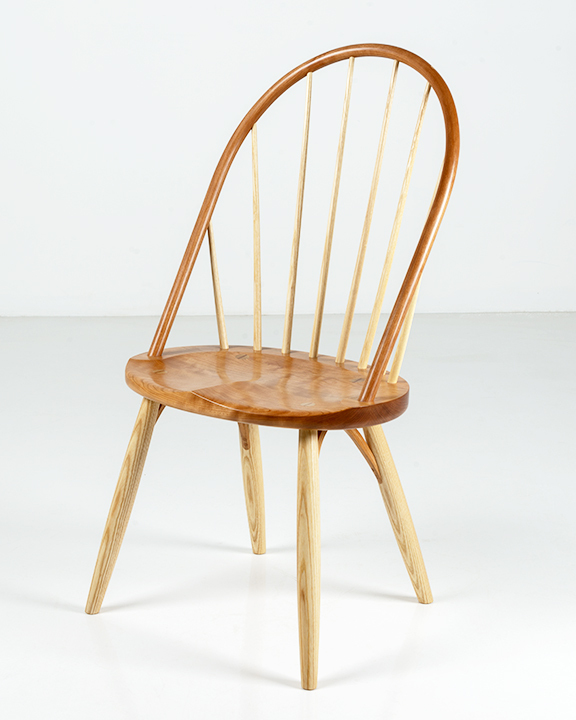 Distinctive for its unique flitch laminated bow, which arcs over eight slender ash spindles, the chair provides abundant support for its occupant. 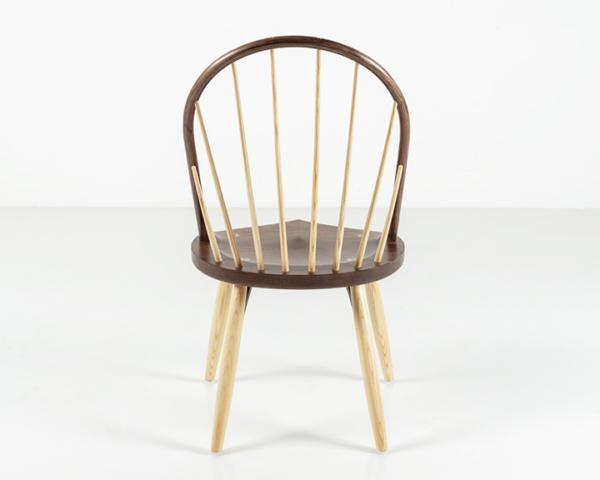 Made of North American Hardwood, the Bowback Chair is a descendant of the English Windsor Chair, with a lighter profile that’s perfectly suited to both contemporary and traditional dining room settings. 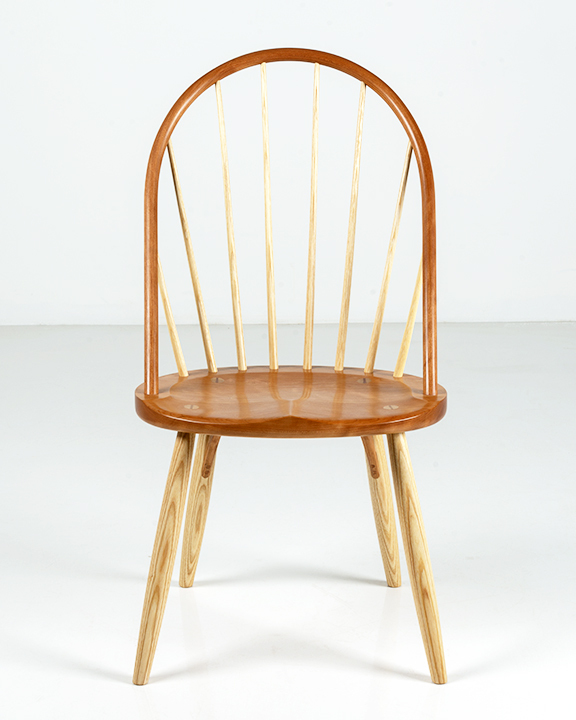 While slightly smaller than our Continuous Arm Chair, the Bowback Chair shares primarily elements of its design and construction, while taking the evolution of the traditional English Windsor Chair a step further. Crafted with a hand-shaped back crest constructed of eleven knife-cut slices of wood laminated and cured into a distinctive bow, the chair tucks neatly against a dining table to preserve space. The bow is supported by a series of tensioned ash spindles that provide both strength and comfort. 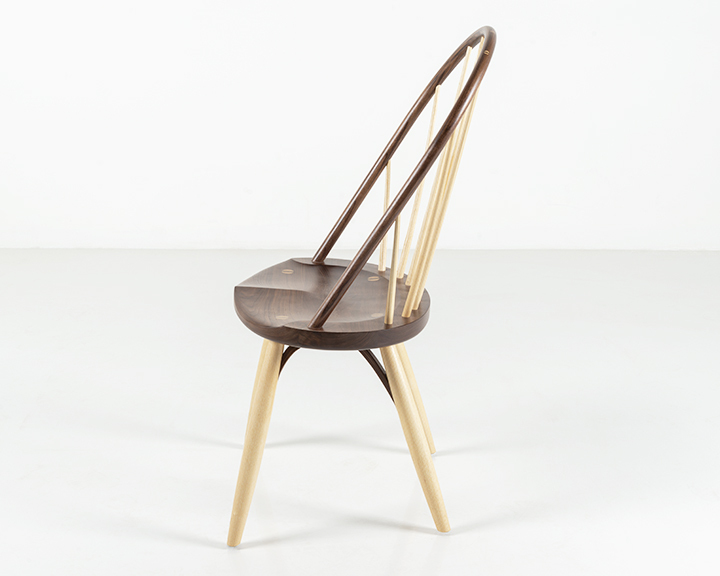 The Bowback Chair’s light profile is enhanced by the use of hardwood knees in lieu of spreaders. These durable knees secure the chair’s seat to its legs, freeing space beneath for more comfortable seating. 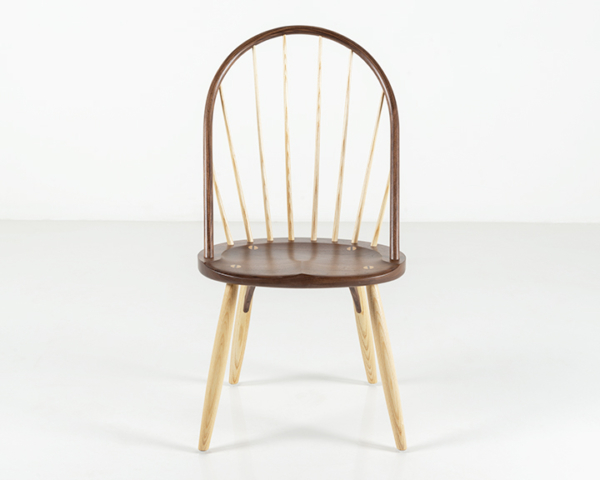 The Bowback Chair’s design is exceptionally versatile. Whether paired with a Moser table or as a complement to nearly any contemporary or traditional dining ensemble.